Kenny Baas-Schwegler is a Software Engineer and Consultant focusing on software quality at Xebia. 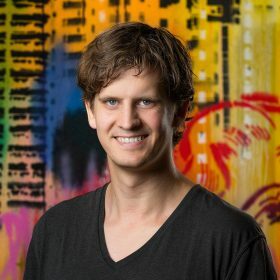 He mentors and coaches teams by using practices and techniques from Domain Driven Design, Behaviour Driven Development, Test Driven Development, and Continuous Delivery. He is an advocate for multidisciplinary collaboration in open spaces. By using techniques such as Event Storming, and Example Mapping, he helps engineer requirements to design and model software. With these methods, he aims to create a transparent, collaborative domain space with constant and instant feedback when delivering software. Besides his daily work, he also helps organise meetups for Behaviour Driven Development NL and Domain Driven Design Nederland.